Another new look for Theresa May. If it’s to hide the fact that she’s a prime ministerial mess, it isn’t working! Bristol is, of course, the city of This Writer’s birth. You can tell why I still love it, can’t you? 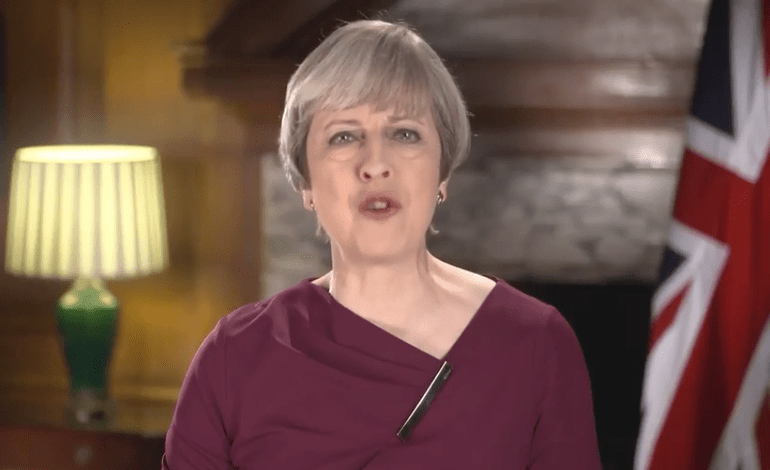 Theresa May’s glossy Brexit Plan video opens with a view of a picturesque street in Bristol. The only problem is, that area of the city voted overwhelmingly to remain in the EU. And the gaffe has drawn sharp criticism from locals and political leaders in Bristol for misrepresenting the city. The opening scenes of the Brexit Plan for Britain video feature a residential street in the Totterdown area of Bristol. The Windmill Hill constituency in which the street sits did make a choice to define the character of our country. But not in the way May’s video implies. Residents voted 72.8% to remain in the EU; while just 27.2% voted to leave. Bristol as a whole voted 62% in favour of remaining in the EU. The case is seen to sum up the Prime Minister’s low interest in matters outside the city of London. And her government’s willingness to deploy PR contrary to the facts. So some bright spark at The Canary’s Off The Perch decided they would re-make the video with honest subtitles. Fraud, cheating and Tory go hand in hand. So May chose to use a remain area to spell out the advantages of leaving then, however the subtitles were almost certainly what she thought at first as she was a staunch remainer. Sorry; I couldn’t get to the end of that. Her voice really gets on my ***s.